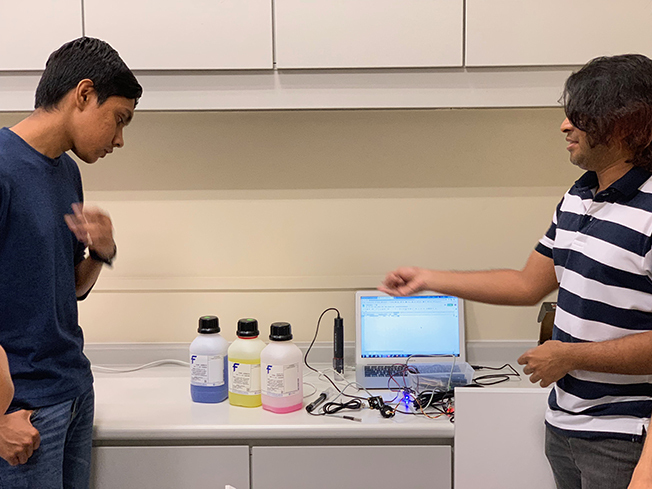 through our Maker Motes approach, our team has been helping schools with open-source hardware for nearly four years. we have been very privileged to have been able to do so. following on from my post ten months' ago, in which i shared about a collaboration with my friends from the Humanities and Social Studies Education Academic Group of the National Institute of Education, my team and i were very privileged today to participate in AAG33B, a course for pre-service geography teachers, themed on Catchment Conservation and Management, conducted by A/P Kim Irvine. 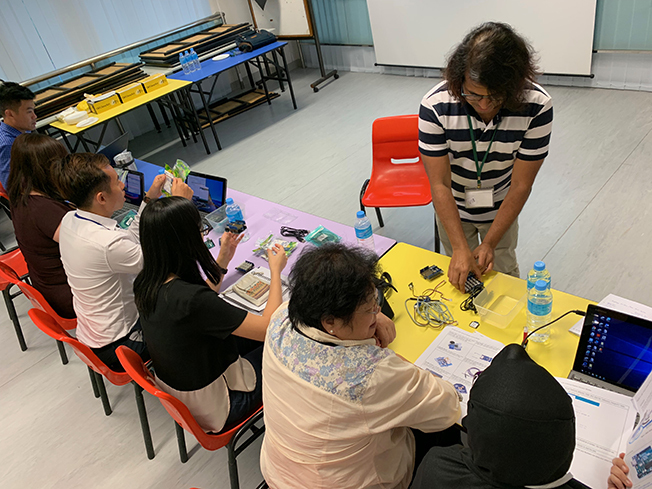 our team has been working with teachers from schools both locally and regionally in helping craft curriculum for more authentic geography learning and STEM integration. 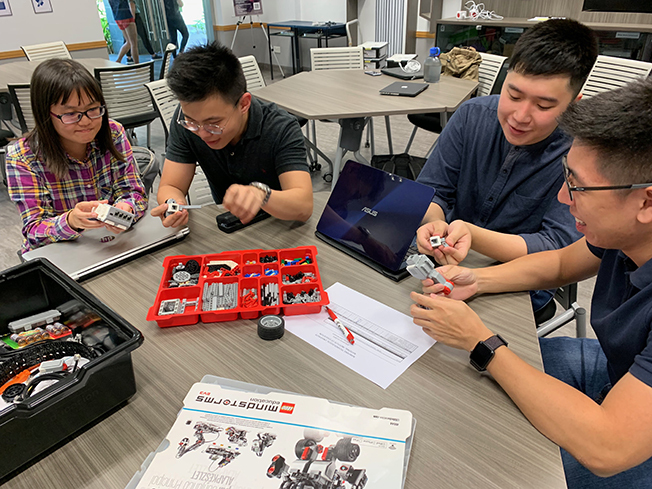 as tutors of AGE08D Designing learning environments with a focus on the Internet of Things, we would like to express our deep gratitude to LEGO Education Singapore for making these enriching sessions possible. back in July, i shared how our team hosted a visiting delegation of teachers and faculty from the National Tsinghua University. 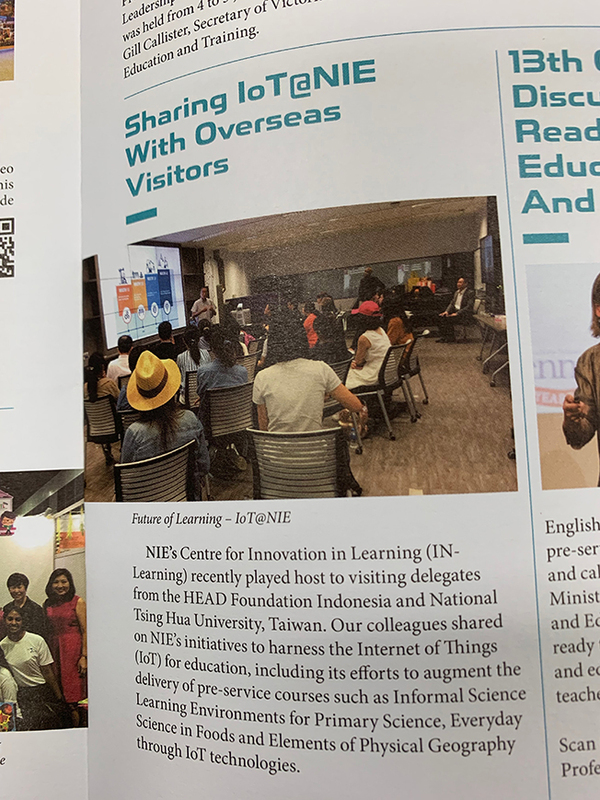 the current issue of the National Institute of Education (NIE) publication NIEWS (December 2018 - February 2019) mentions the visit in the context of a report on the Internet of Things (IoT) at the NIE. two days' ago, i introduced a pedagogical design strategy which my team has termed Learner-Generated Augmentation. the paper supporting the strategy has just been published in a special issue of the Journal of Virtual Worlds Research, themed on a decade's retrospective of Pedagogy and Learning in virtual environments. i was very humbled to have received the invitation today to elaborate on Learner-Generated Augmentation, during my coming visit to the Beijing Normal University, where i will keynote during the opening of Smart Learning & Innovative Design Week 2019.
specifically, on the 3rd and 4th of January, i will be able to share our team's work during a seminar on Augmented Reality (AR) in education, as well as during an academic salon on AR-supported Science Education. 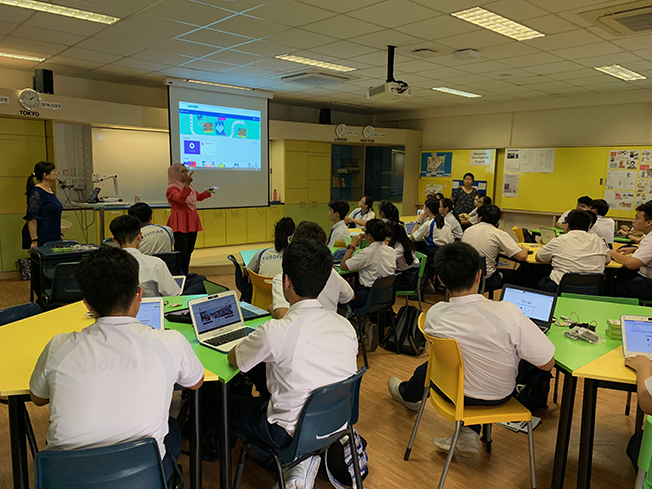 the events are hosted by the National Engineering Laboratory for Cyberlearning and Intelligent Technology (CITLab), Smart Learning Institute of the university.